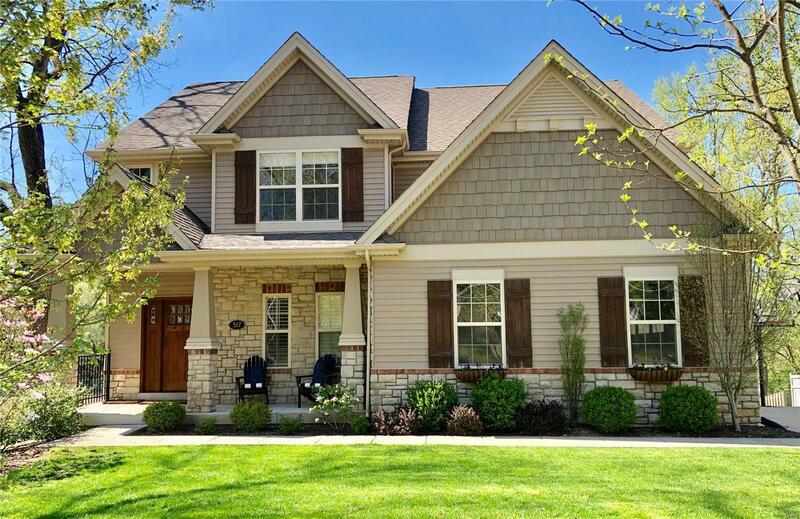 This 5 year old custom build with serene park and golf course views and over 3600 square feet of living space, offers the joy of newer construction without sacrificing the charm of a century home. Not a detail missed with 9â ceilings, board & batten wainscoting, crown molding, job finished hardwood flooring and an oversized 3 car garage. Gourmet kitchen, separate dining area with doors leading to the cedar observation deck, living room, Â½ bath and separate office complete the main level. 4 bedrooms on the 2nd floor including the luxury master suite with vaulted ceilings, a lovely full bath and laundry room. The finished LL offers large family room/rec area, 5th bedroom and full bath. The lushly landscaped park like yard with perennial gardens, irrigation system and vintage brick patio w/ built in firepit create the most peaceful setting outdoors. There is truly so much to enjoy about this spectacular home, all within walking distance to downtown and award winning schools. Agent Owned.